I will be linking evidence to these articles as time permits; I need to get my scanner working. If you haven't read Part 1, please do, as this makes the most sense when read in chronological order. 21. On October 28, 2014, the Relator was in the 40th Judicial District Court in Waxahachie Texas for a hearing in Case #88611. The Relator was surprised to see [Ellis County] District Attorney Patrick Wilson and [Ellis County Texas] Sheriff Johnny Brown in the audience for the hearing [as well as a small army of Ellis County Sheriff’s deputies]. 22. The Relator was detained on October 28, 2014 at approximately 5:30 pm by the Ellis County Sheriff’s Department as he left the courtroom. The Relator was informed that there was a warrant from Montana. The Relator was not told that he was under arrest, and he was not read his rights. 23. The Relator was taken to the Ellis County Jail. He was not given any paperwork or explanation as to why he was there. The Relator was not asked to prove his identity. [Sheriff’s Deputy Matt Overcash typed something into a computer while the Relator sat on a nearby bench.] [The Relator did not see what Deputy Matt Overcash typed until November 21, 2014, but it is what Ellis County claimed as an Affidavit of Probable Cause – Exhibit B.] The Relator’s personal property was taken from him, which included his laptop and zip drive. 24. The Relator was [told that he had been] granted a $100,000 bond and [was] given the opportunity to post bond for “violations of a protective order.” No details were given. 25. The Relator was not given a phone call for eight-and-a-half hours. The Relator was kept in the Booking Area where he discussed his legal situation with several sheriff’s deputies and several jail booking staff officers. The Relator was never read his rights. 26. At 2:00 am on October 29, 2014, the Relator was given a telephone call by Officer Jerri Smith. It was too late to reach anyone, and the telephones at the [Ellis County Texas] jail do not allow a message to be left on voice mail. The Relator knew only two phone numbers – his son and his ex-wife. Neither of them ever accepted the Relator’s calls, and they have done nothing to help the Relator. 27. When the Ellis County bail bond companies opened later that morning, the Relator contacted a bondsman who said he would provide the bond. 28. A corporal in Booking contacted someone in Montana who said a Texas bond would not be accepted. The Relator informed Booking that he would not waive extradition; he would fight it. 29. At 10:21 am on October 29, 2014, the Relator was “arraigned.” The Relator was not given the opportunity to speak. The Relator received no explanation about his rights in regard to habeas corpus. 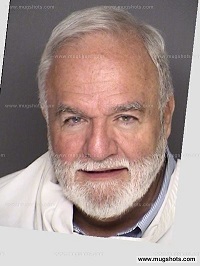 The Justice of the Peace/Magistrate told the Relator that his bond was set at $100,000. The hearing was neither recorded nor videotaped. The Relator was not told that he had the right to contest the “arrest.” No time was set for a writ of habeas corpus. The Relator was never told that he had such a right. The Relator was not directed to a court of record for the purpose of obtaining such a writ. Each of these are things that the Relator later learned are required by law. 31. The Booking staff was kind enough to obtain a list of Missoula, Montana bonding companies. [I called a dozen of them, but only one accepted my collect call.] The Relator contacted Brad of “Your Bondsman.” The Relator made a payment by credit card. Brad told the Relator that he would go to the court there on October 30, 2014 and present the bond. 32. Late in the afternoon of October 30, 2014, Brad called Booking and told an officer and the Relator that the authorities in Montana refused to accept a $100,000 bond from the local bonding company that they deal with regularly. 33. The Relator was then moved from the Booking Area to “O” Tank in the Ellis County Jail [at about 4:00 pm on October 30, 2014]. While in Booking, the Relator was exposed to staph and MRSA as well as one extremely violent crazy man. Part 2 of the story will be much more significant when I get the documents scanned that are "the entire file of the District Attorney." A comparison of these documents to the law -- Article 51 of the Texas Code of Criminal Procedure makes it clear to anyone with decent reading comprehension that Bill Windsor was held in total violation of Texas law.